Watching a celebrity chef, in all his chefs goodness reinvent the Peach Melba, yesterday I remembered I still have these.. 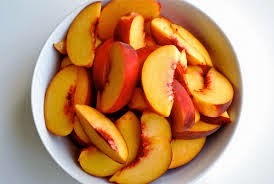 I love peaches (unlike Miss Fisher I prefer the yellow), so stopped to watch the recipe take shape. 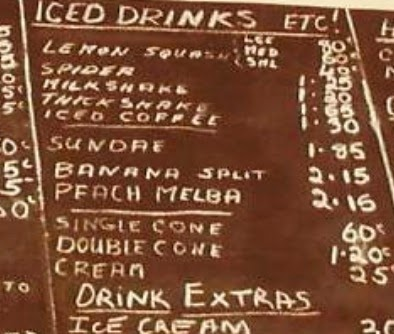 In the 80's my parents had a coffee/sandwich shop and when setting up one of Mum's decisions was what 'desert' to offer on the menu. Something simple was required, besides the cakes and scones, and not too hard to make at the counter in a busy environment. After trialling a few things she came up with Banana Splits and Peach Melba and we had a great time sampling, testing and putting together our version of these great traditional deserts. Sometimes, nuts, cherries, other flavours, and grated chocolate could be added to the customers preference, but Mum preferred to stick with the simple flavours and not confuse the dessert with the banana split which was heaped with all of the colour and excitement of a child's party. It was simple, easily made, well received and now a good memory for me of a family time that was a lot of hard work, sometimes fun and altogether memorable.